Personal Development – Torah true mothers, living life together. This is a post that doesn’t need much pretext. We’re all growing. Looking back over the years since getting married and beginning to keep house, there are so many areas in which I’ve grown, and in which each woman is working on continuously learning. This list is me being honest with myself and with the world. Sometimes facing our vulnerabilities is the push we need to begin tackling them. This list didn’t take me long, and I could add so much more. Be honest with yourself and sit down to write a similar one. What areas are you consciously working on? In which areas might you benefit from applying further effort? Start small, begin moving, and enjoy the momentum of growth. Looking at food prices before buying. Making meals instead of eating out. Price comparing groceries before going to shop. Putting things back in their place. Cleaning the nitty gritty areas of the house. Creating a consistent bedtime routine. Waking up earlier than previously and beginning my day intentionally. Turning a workout into habit – healthy homemaker = healthy home. Following through with the mail inbox system I’ve recently implemented. Paying bills on time, all the time. Being more patient with the little guy. Not raising my voice as much with the little guy. Not checking my phone notifications once little guy comes home from school until after bedtime. Saying ‘no’ to projects when they’re more than I can chew. Tracking gifts I need to buy / send. Coming in to Shabbos in a relaxed manned. Building my relationship with the Almighty. 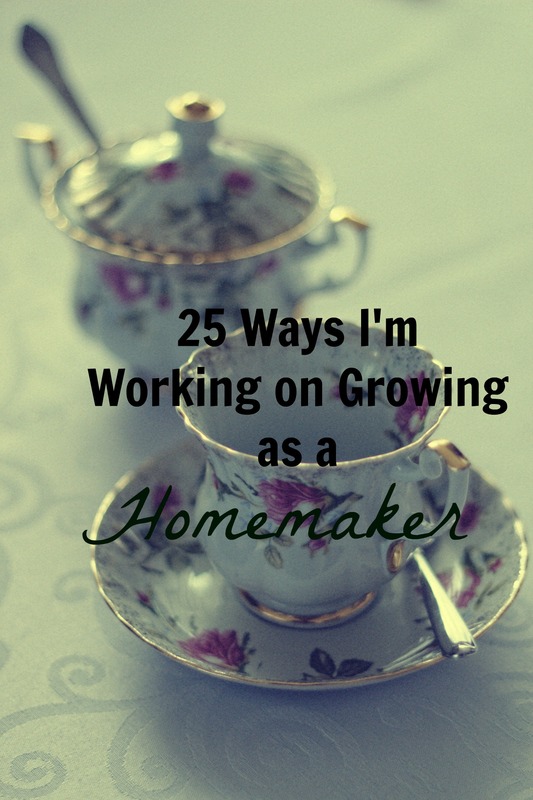 What is an area in which you’ve grown since beginning your journey as a homemaker? Share below!